I get a very comforting feeling every single time I use a cast iron skillet. My grandmother would use her cast iron for almost everything she prepared and it seemed to make everything taste a little better. 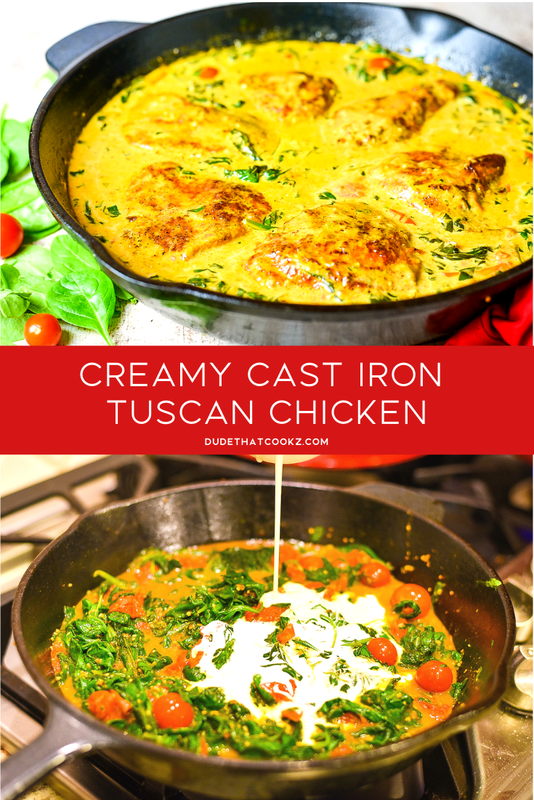 I literally prepare all of my chicken dishes in a cast iron and my Creamy Cast Iron Tuscan Chicken is no different. 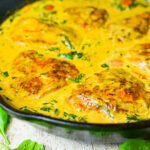 Not only is this recipe full of flavor, but it has a great creamy sauce that is perfect with just about anything. If you want add a little more depth to this recipe you can make a side of rice, mashed potatoes or even pasta for a heartier meal. 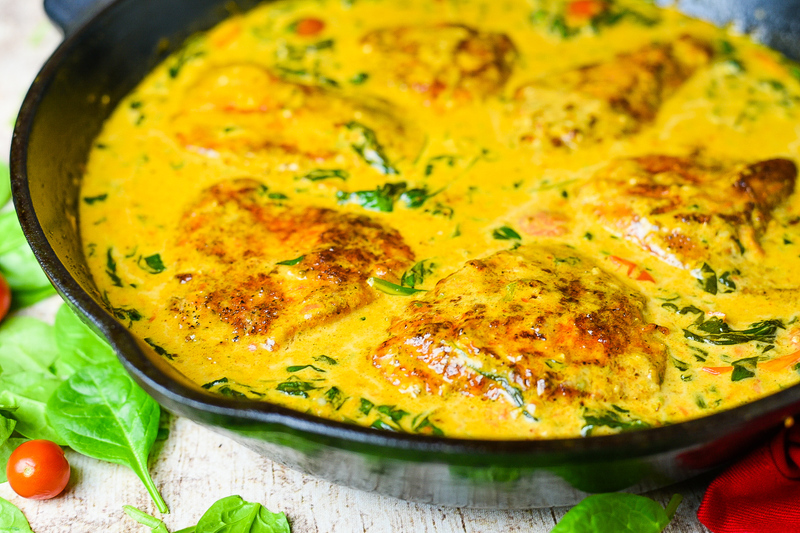 However, if a low carb alternative is your mission, then you can definitely enjoy the chicken as is accompanied with some steamed or roasted veggies. The Tuscan flavor profile includes herbs and spices like oregano, parsley, rosemary, thyme and a few more which turns these simple ingredients into a great meal. 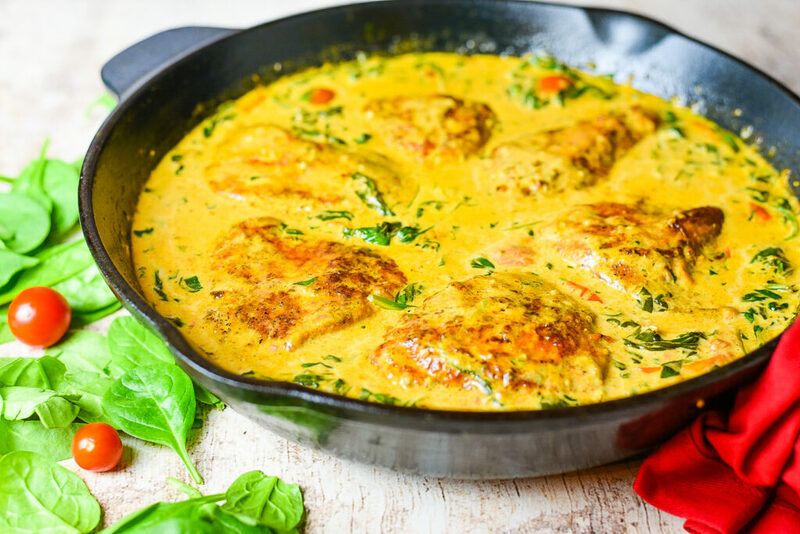 Well-seasoned boneless chicken breast teamed up with fresh leaf spinach and cherry tomatoes makes this an awesome dinner option but when you add the additional cream to the mix it makes this recipe a lot more versatile. Begin by butterfly-cutting the chicken breast then seasoning both sides with the chicken seasoning. 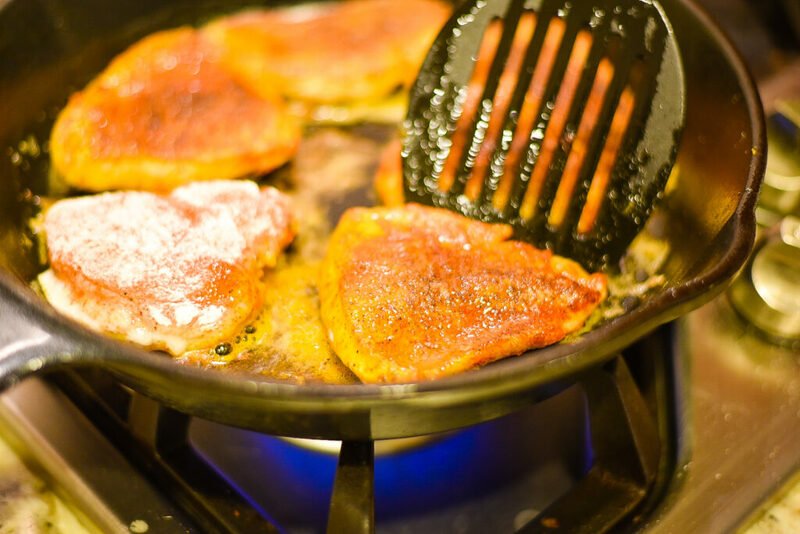 Pre-heat cast iron skillet at medium heat, add 3 tbsp of cooking oil, and cook each chicken breast for 4 minutes on each side. Set to the side. Add butter and garlic to cast iron and allow to cook for 1 minute. 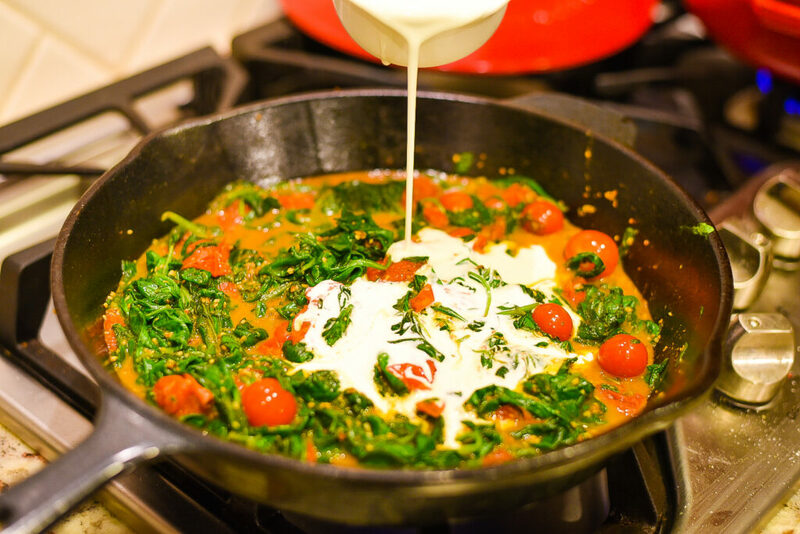 Add cherry tomatoes to skillet and cover. Cook until tomatoes begin to bust. 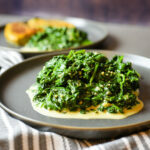 Add spinach and cook until it begins to wilt. Add all of the sauce seasonings and stir. Add heavy cream and Parmesan cheese. Lower heat to medium/low and cook for a 5 minutes. Add chicken back into the skillet. Reduce heat to simmer and cook for 3 to 5 minutes then remove from heat.